March update! Clumsy Knot pre-sales available now! Hiya. Adam here. Hope you’re doing well. I’m not long after finishing up our tour with Kid Canaveral. We joined them throughout their ‘Who Would Want To Be Loved?’ crusade. It’s a cracker of a single they’ve got there. It’s available on hot pink heart-shaped vinyl and the B-side is their cover of our song ‘I Can’t Dance To This Music Anymore’. The tour consisted of gigs in Glasgow, Wakefield, Aberdeen, Dundee and London. My car broke down as we were leaving for Aberdeen but, apart from that, it was all very enjoyable and well attended. So thanks if you came along. Here are some of the Leapers enjoying fish’n’chips in Stonehaven. Highly recommended. I was chuffed meet comedy chieftain Sean Hughes in London. I recorded an interview and a couple of songs for his show on Fubar Radio. Should be going out on Sunday. I then got the overnight sleeper megabus back to Glasgow and only bumped my head eleven times. Great tour. Kid Canaveral rocked it every night. Pleasure to be involved. Here’s a review of the Dundee show. We took a modest pile of Clumsy Knot LPs with us to sell on tour. And we sold ’em all! Cheers if you bought one. If not, it’s available to pre-order NOW from the Lost Map website. The official release date is April 7th. Don’t forget about our album launch gig! Kinning Park Complex, Glasgow on April 5th. It’s a really cool venue and we’re spoiling you with opening acts Rachael Dadd and Sweet Baboo. Get your tickets now to avoid missing out on this special, special night. Been filming a couple of music videos recently. The first one should be ready fairly soon. I did all my own stunts. Gigs this week include Friday 14th at the Glad Café with the amazing Seamus Fogarty and then Saturday 15th at Twa Tams as part of the Perth Words & Music Festival. It’s 2014. Welcome to the future. Happy 2014. Hope you are well. If you haven’t already heard, Lost Map Records have announced the first few details of our upcoming full-length album. It’s called ‘Clumsy Knot’. It’s coming out on April 7th and we’re launching it with a gig at Glasgow’s Kinning Park Complex on April 5th. I’m excited as heck. I think it’s definitely the best album we’ve made so far. It covers a bit of everything: full band songs next to solo numbers, home recordings next to studio recordings and shabby folk-pop next to Cuban rap. It’s mostly shabby folk-pop though. Johnny from Lost Map called it “wonky pop”, which I like the sound of. Visit the Lost Map website for a fuller introduction to the album. Light of the Moon (the song that gives the album its title) is streaming on Soundcloud and here’s a wee video I put together for it. Tickets for the Kinning Park launch gig are currently going cheep in what the kids like to call an ‘early-bird’ promotion. Get them for £6 right here. There’ll be a whole bunch of stuff happening in the lead up to the album launch so keep your thighs peeled. We’re already booked to play some gigs in Feb/March with fellow Lost Mappers and strip billiards fanatics Kid Canaveral as part of their Who Would Want To Be Loved? Lumber Party tour. If you haven’t already heard WWWTBL? it’s an absolute gem of a song taken from an amazing, heart-gladdening, toe-twitcher of an album. We’ll be joining the Canaverals in Glasgow, Wakefield, Aberdeen, Dundee and London. DON’T BELIEVE ME? See for yourself. *Note* Due to problems with collective travel sickness and xenophobia, the two English dates will be solo Randolph’s Leap shows. We’re working on facilitating some band gigs south of the border soon. Hold your horses though… Before we fully immerse ourselves in the Lost Map album campaign, we’re having a party with our buddies at Olive Grove Records. It’s a Celtic Connections special at Oran Mor and it’s happening on Sunday the 26th of January. Also on the bill are Woodenbox, Call to Mind, The State Broadcasters, The Moth & The Mirror and Jo Mango. All lovely people and terrific music-makers. We’re commencing proceedings and we’ll be on stage around 5ish so have a big lunch and make sure you get there early. Tickets are available from the Celtic Connections website. Maybe you live too far away to come to Celtic Connections? Perhaps you live in the north of England? In that case, why not pop along to the Old Cinema Laundrette in Durham on Jan 25th where I will be playing a solo set? I think it’ll be a really special night. Come along! Bring a friend! Tickets are available here. For some reason I seem to be working my way backwards through the gigs. If you can’t hack my anti-conventionalist take on life then just stop reading. On Monday, this Monday, Monday the 20th of January I am supporting the legendary Adam Green (Moldy Peaches). This is happening at Broadcast in Glasgow and it’ll be drop-dead pleasant. Tickets can be bought by clicking on these words and here’s a Moldy song to get you in the spirit. On Monday night we’re going to be delighting Christmas shoppers and ice-rink enthusiasts by performing in Glasgow’s George Square. The stage is being curated by the Oran Mor for the evening between 6pm and 10pm. Three Blind Wolves are also performing. This is to help promote our Oran Mor Celtic Connections gig on Jan 26th (more about that in a minute). On Wednesday night we’re headlining the MILK Christmas Party at Flat 0/1, Glasgow. The Arches Community Choir are singing some songs, there are DJ sets from Admiral Fallow and MILK are also promising special mystery guests. My money is on it being Slade. I think this’ll be a really fun night and it’ll be the last full band gig we do in 2013. On Thursday I’m playing solo in The Drake (Glasgow again) alongside everyone’s favourite panda… Tian Tian! Not really, IT’S PANDA SU! This’ll be a nice wee cosy affair. Come along if you can. In other news, we’re releasing a wee Christmas EP. It’ll be available as a Christmas card with download code. More information soon. It features some unusual covers. Let’s look to the future now… (it’s only just beguu-uuu-uuuun). Then I’m zipping back up to Glasgow for the Celtic Connections Oran Mor gig. This is an Olive Grove Records special, featuring Jo Mango, The State Broadcasters, Woodenbox, The Moth & The Mirror and new signings Call To Mind. After this it’ll be full steam ahead with the launch of our next album on Lost Map Records. We won’t be straying far from the Olive Grove family but this gig will be a really nice event and a chance for us to say a huge thanks to the hard work done by Olive Grove. I think this will be a full band gig. Next on the agenda is a tour with Kid Canaveral! They’re such a great band and super people. They’re releasing their new single Who Would Want To Be Loved. It’s my favourite song on their new album. A pop classic. There’s going to be a b-side to the single which might be familiar to Randolph’s Leap fans. Here are the dates for the Kid Canaveral gigs. All are full band apart from Wakefield. Looking further ahead, we’ve been confirmed for Brew at the Bog on May 3rd alongside the aforementioned Canaverals, some Olive Grove buddies and many more talented individuals. Earlybird tickets are available now for just £29 plus booking fees. I am also going to be playing at The Glasgow Pop! South All Day-and-a-halfer event which takes place on the weekend of February 8th and 9th at The Glad Cafe in Glasgow. That’ll do you for now. There’s plenty more in the pipeline. The forthcoming Lost Map album is currently being mastered. Can’t wait for you to hear it. Adam here, ready and willing to take on the galaxy with a string of SOLO gigs. First up is the Broadcast Birthday Bash on Friday October 25th. The gig is free entry but you need to RSVP here. Broadcast is a cool venue. We used to play at the Captain’s Rest a lot and I’ve been left with some good memories and some great half-memories. Broadcast is essentially a slightly larger Captain’s Rest, plonked on Sauchiehall Street. I once had a pizza there with an egg on it. Next up is The Electric Circus in Edinburgh opening for Sweet Baboo on November 10th. If you’re a fan of whimsical, sometimes humourous, folk-tinged indie pop with flourishes of Casio and brass then you may well enjoy Sweet Baboo. But, frankly, if that’s what you’re into then I don’t know what you’re doing here. The Occasional Flickers are also performing! Here’s a Facebook event with all the goss. On November 21st I’ll be at The Drake in Glasgow. More details to come on that one (i.e. I currently have no details), but I’m sure it’ll be a cosy wee night with some smashing music. Lastly, I’ll be playing at the Jazz Bar in Edinburgh on December 5th. I can’t promise any jazz but I’m 99% sure there will be a bar. Details should appear here sometime soon. I might recruit a few more Randolphers for this one. It won’t be the full band due to noise and space constraints but maybe a 3-piece or something. We’ll see what happens. And with that enigmatic morsel I’ll bid you adieu. Here’s an update on Randolph’s Leap goings-on. First up, thanks once again for all your support regarding the mini-album, whether you attended the launch or bought a copy – and if you’ve still to get one, what the flipping heck is stopping you? You may have thought the festival season was over and – although we won’t be braving the elements for this one – we’re delighted to be part of the 2013 Aberfeldy Festival. The Spree Festival in Paisley on Friday, 11th October with The Pictish Trail plus David MacGregor (Kid Canaveral) and Ziggy Campbell (FOUND). The following week (Thurday 17th October) it’s Pleasance Sessions in Edinburgh with The Pictish Trail & Friends from Lost Map, including Rozi Plain, Seamus Fogarty, Kid Canaveral, eagleowl, Monoganon and Adam at the Pleasance Theatre. Next up, Adam is playing at the Broadcast 1st Birthday bash on the evening of Friday 25th October, alongside French Wives, Laki Mera, The Mademoiselle, Donald MacDonald and the Islands and The Graveyard Band. Tickets for the event are free on a first come, first served basis. Real Anymore is out today! Our new mini-album, ‘Real Anymore’ is out today! You can find a copy of the CD in LoveMusic and Monorail in Glasgow, VoxBox and Avalanche Records in Edinburgh and Rough Trade in London. Alternatively, you can order a copy directly from us if you’re keen to avoid the hassle of face-to-face human interaction. Hi-tech wizz kids can download a cyber copy from our Bandcamp page, iTunes, Amazon and most other digital retailers. “Funny, full of flavour and a good, old fashioned, bit of fun” – Is This Music? 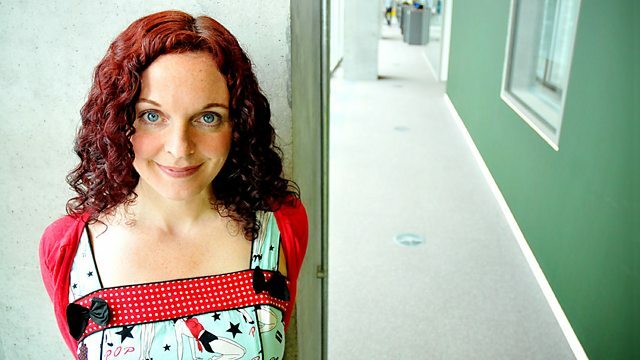 We’re also going to be live in session on BBC Radio Scotland TONIGHT between 8:05pm-10:00pm with the fabulous Nicola Meighan who is sitting in for Uncle Vic. We’re going to be doing two of our own songs, plus a surprise cover version, please do tune in if you can. To get you in the mood, you still have a few days left to listen back to the session the we recorded for Marc Riley’s show on 6Music. Author AdminPosted on 09/09/2013 10/09/2013 Categories Blog Post1 Comment on Real Anymore is out today! We’ve got a busy few days coming up here at Randolph’s Leap HQ. Tonight (6/9/13) we’re celebrating the release of our new mini-album, ‘Real Anymore’, with a gig at the Glad Cafe in Shawlands. We’ve got David from Kid Canaveral and St Kilda Mailboat playing too, so it should be a pretty fun evening. There aren’t many tickets left, so if you want to avoid any disappointment you can book tickets from our webshop up until around 4pm. As if that isn’t exciting enough, we have a brand new video for the single, ‘Real Anymore‘ which you can stream above. If ironing, funky dancing and fake beards float your boat then you’re going to love it! If you can’t make it along tonight, then get yourself along to Love Music for 5:30pm tomorrow (7/9/13) as Adam is going to be playing an in-store gig as part of their Cassette Store Day celebrations. We’ve had just 20 copies of ‘Real Anymore’ made up on cassette, so if you like your music with a bit of hiss you’re in luck – get yours while stocks last from Love Music and Monorail in Glasgow and VoxBox in Edinburgh. The album officially comes out on Monday coming (9/9/13), but if you can’t wait that long then just head over to our new web shop and pre-order yourself a copy. Talking of Monday, we’re going to be live in session on BBC Radio Scotland with Nicola Meighan who is sitting in for Vic Galloway. We’re going to be playing two of our own songs plus a surprise cover … tune in from 8.05pm to find out what we’ve come up with! We’re very pleased to announce our involvement with the brand new Lost Map Records. Founded by Johnny ‘The Pictish Trail‘ Lynch is the new home for many amazing acts. It’ll all be very familiar to fans of Fence Records. Check out this article in The List for a good explanation of how this new label emerged. It’s going to be an exciting time. I’d recommend checking out all of the bands on the Lost Map roster: Rozi Plain, Kid Canaveral, Seamus Fogarty, eagleowl, Monoganon and Pictish Trail. In fact, sign up to the mailing list and you’ll get a free song from each act, including our track ‘Black & Blue’, which you can stream below. The plan is to release our next full-length album on Lost Map, we will bring you more info as and when it’s available! Hope you’re all diddlin’ along just fine. We’ll do our best to supply you with up-to-the-minute updates on anything Randolphian but first things first we wanted to let you know all about our upcoming 7-song mini-album which is coming out on 9th September. It’s called Real Anymore and we’re teaming up again with the wonderful Olive Grove Records who released our first ever EP back in 2010. It’ll be fully available on CD and digital download from Sept 9th. You can get a copy at our launch gig on Sept 6th. Click below for more gig info. If you go to our Bandcamp page now you can get a FREE DOWNLOAD of the Real Anymore single. Thanks to Pete MacDonald (State Broadcasters) for helping record and produce it and Kris Ferguson for doing the artwork. The CD has a lovely 4-panel design. Thanks for reading. Hope to see you waving your copy aloft at a gig sometime soon. Author AdminPosted on 24/08/2013 26/08/2013 Categories Blog PostLeave a comment on Welcome To Our New Website!